Educational AI can know about teaching, learners, and subjects like math or history. I said in AI in Education provides smart knowledge modeling tools that AIEd systems build computational models of the process of teaching, the subject matter being studied and of the learner as they progress. The table below provides some examples of the sorts of information that can be stored in the Pedagogical model, the Domain model and the Learner model. To delve deeper into just one of these examples, learner models are ways of representing the interactions that happen between the computer and the learner. The interactions represented in the model (such as the student’s current activities, previous achievements, emotional state, and whether or not they followed feedback) can then be used by the domain and pedagogy components of an AIEd programme to infer the success of the learner (and teacher). The domain and pedagogy models also use this information to determine the next most appropriate interaction (learning materials or learning activities). Importantly, the learner’s activities are continually fed back into the learner model, making the model richer and more complete, and the system ‘smarter’. This post is an adapted extract from Intelligence Unleashed published by Pearson. Artificial Intelligence in Education provides smart knowledge modeling tools. At the heart of AI in Education (AIEd) is the scientific goal to “make computationally precise and explicit forms of educational, psychological and social knowledge which are often left implicit.” In other words, in addition to being the engine behind much ‘smart’ ed tech, AIEd is also a powerful tool to open up what is sometimes called the ‘black box of learning,’ giving us deeper, and more fine-grained understandings of how learning actually happens (for example, how it is influenced by the learner’s socio-economic and physical context, or by technology). 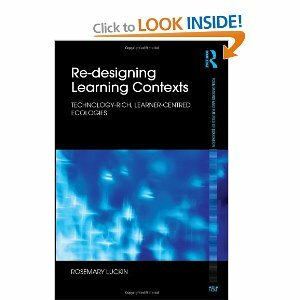 These understandings may then be applied to the development of future AIEd software and, importantly, can also inform approaches to learning that do not involve technology. For example, AIEd can help us see and understand the micro-steps that learners go through in learning, or the common misconceptions that arise. These understandings can then be used to good effect by classroom teachers. AI involves computer software that has been programmed to interact with the world in ways normally requiring human intelligence. This means that AI depends both on knowledge about the world, and algorithms to intelligently process that knowledge. In my next post I’ll provide examples of the sorts of information that can be found in each of these models.